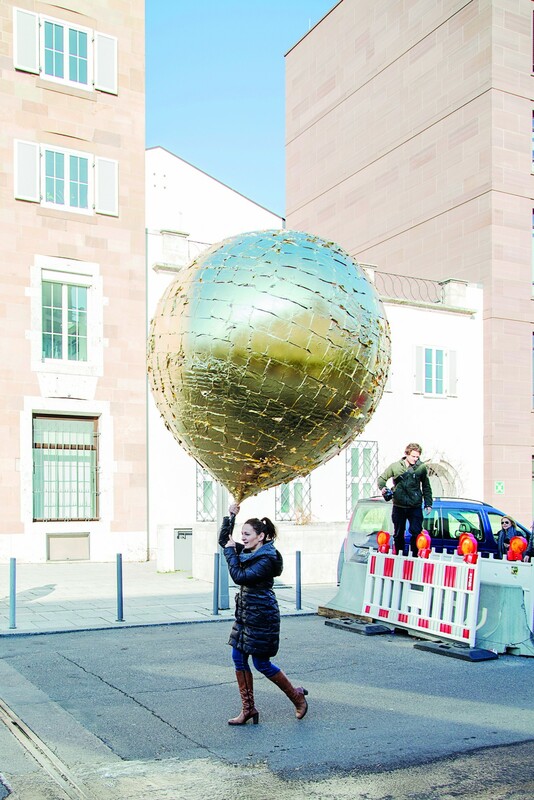 A two-meter diameter gilded helium balloon, onto which a 360° panoramic camera is attached, rises into the skies. This camera films the entire environment: the world gets smaller and smaller on its way to the edge of space, until it bursts at 35 km altitude. 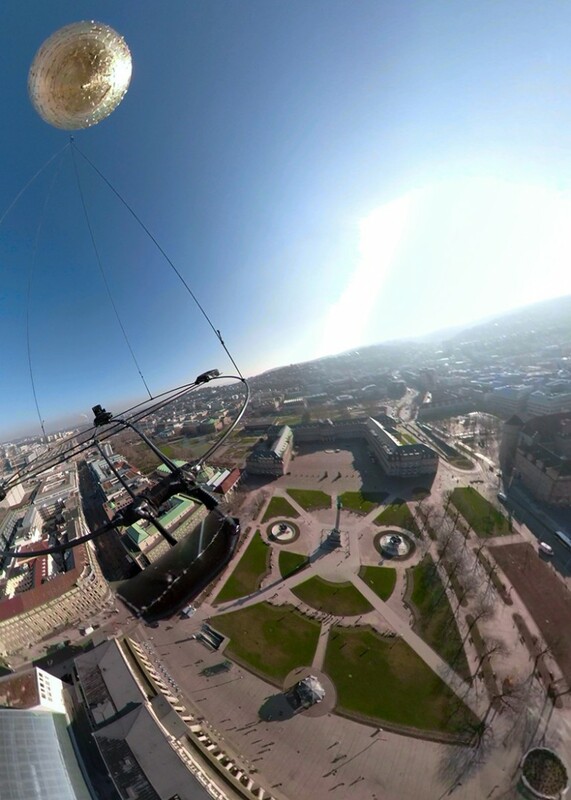 The spectacular moment in which the balloon explodes, spreads its gold particles as well as its fall back to earth are also part of the 360° VR video. The fully immersive virtual reality results visually give a surprisingly overwhelming physical experience of weightlessness.